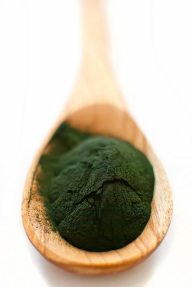 Agcore Technologies provides nutrient and protein enriched products through our farmed Spirulina, a sustainable plant protein for both human and animal nutrition. Our vertically integrated farms operate year round with daily harvesting, processing and packaging. Our finished products include Grain-Free, Vegan snack foods, and smoothie powders under the brand SoulFresh Proteins and we developed the first “Grain-Free” Fish Food for the aquarium, hobby industry as well as a variety of aquaculture products. We are committed to providing the highest quality farm-to-table and farm-to-animal feed while working to improve the environmental, social and economic sustainability of the world in which we operate. This vision will be accomplished in a work environment that fosters innovation and creativity through the development of practices that reduce natural resource utilization, optimize energy efficiencies and technologies and adds value for our clients, communities and planet. Agcore’s IP includes algae farming, carbon capture and utilization and a variety of methods of using algae in human and animal feed markets. Please visit our other websites and social media to learn more about Agcore's products.